Frank Burgess Platt appears in a Verdin Technical School gymnastics team portrait of 1908. Also included within the team is Thomas Minshall. On 25 October 1909 Frank married Thomas’ sister Marian Minshall (b.1886) at St.Wilfrid’s Church, Davenham, Cheshire. Frank was born in Northwich, Cheshire, on 18 May 1886, the son of James Henry and Elizabeth Ada (nee Burgess) Platt. James was a draper. 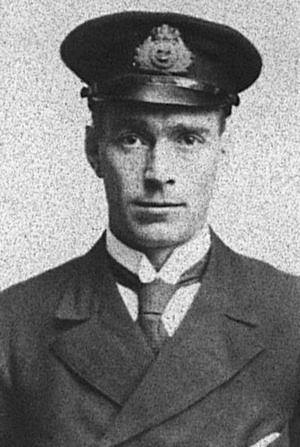 He was as an apprentice with local shipbuilders Yarwoods, the 1901 census identifying his occupation as “Steam Engineer Fitter (Apprentice).” After serving his time with Yarwoods he went to sea. Spells of service in the Royal Navy in both wars were sandwiched in his long career with the Merchant Navy which lasted until he was 66. 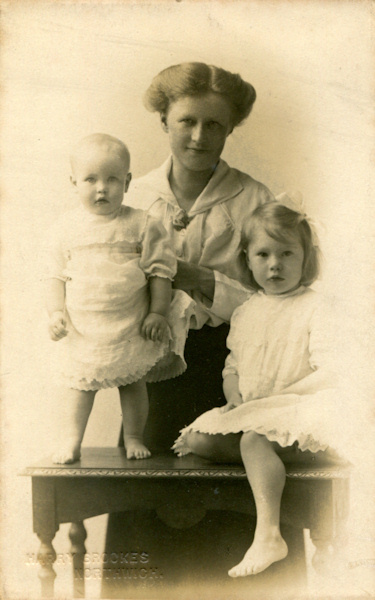 Marian and Frank had two daughters, Phyllis Marian (b.1914) and Joan (b.1916). Sadly, Marian died suddenly in July 1917, while Frank was serving with the Navy at Scapa Flow and he never remarried. Their children were looked after by Marian’s brother Thomas Minshall and his wife Eva while Frank was at sea. Pictured left are Joan, Marian Platt (nee Minshall), and Phyllis Marian.